No matter how long you may have suspected that a loved one has Alzheimer’s disease, nothing can prepare you for the actual diagnosis of the disease. It is overwhelming. So it is important to know that you have resources available to help guide you as you take this journey with your loved one. You can begin by arming yourself with accurate information to help you understand how the disease progresses and the challenges associated with each step of the progression. Because, even though your loved one may have only recently been diagnosed with the disease, the reality is that he or she has been in the “pre-clinical” phase of Alzheimer’s for some period of time, possibly even for years. Following this pre-clinical phase, your loved one will enter the first of three stages of Alzheimer’s disease; early, middle and late. Below are descriptions of each, courtesy of the Alzheimer’s Association. Of course, you should consider these stages and symptoms as a guide. No two individuals are the same, nor will they exhibit the exact same patterns of behavior. As the disease progresses, it is important to take steps to develop a strong support network around you and your family. 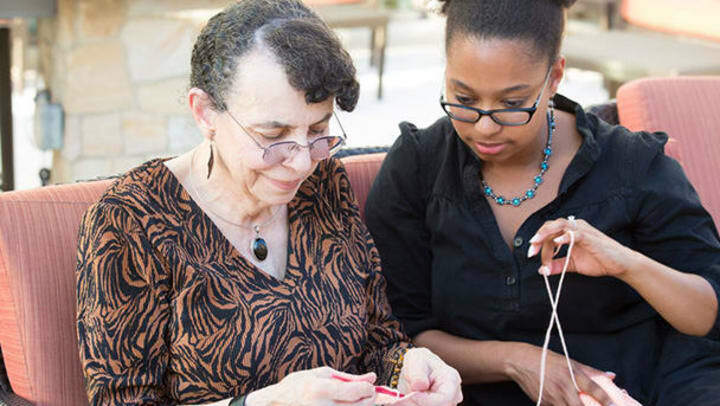 You will also want to reach out to professional memory care providers for guidance and insight into how to manage the increasing challenges of caring for your loved one. Our Anthem Memory Care communities have professionals who are ready to answer your questions and provide you with the resources you need. We understand and we’re here to help.